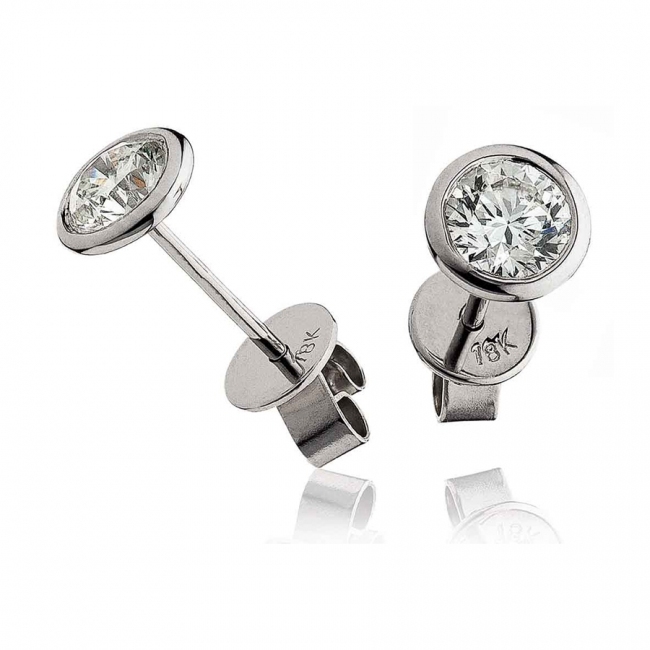 Stunning stud earrings with round brilliant cut centre diamonds with a contemporary bezel setting, the bezel, also known as rub-over settings, can make the diamonds appear bigger and also offer protection to the outer edge of the diamond. These beautiful earrings are set with a total of 0.75ct of quality G colour SI1 clarity diamonds, set in solid 18k white gold, featuring a post and butterfly fitting for pierced ears. Delivered free with a luxury wooden gift box, authenticity certificate and a full 12 month guarantee.